If you consider the structure of gothic churches and sacral buildings, a directly striking feature is represented by the translucent and skeletal architecture. Ogee arches also depict a central element in the ecclesiastical architecture. Slimly and highly emergent towers stretch towards the sky and roundly-shaped and adorned rose windows create a special mystical spirit. You like sacral buildings and are fascinated by the gothic epoch? Then these wonderful earrings are exactly the right thing for you! These beautiful, black-coloured hoops are made of high-quality stainless steel and are sold pairwise. 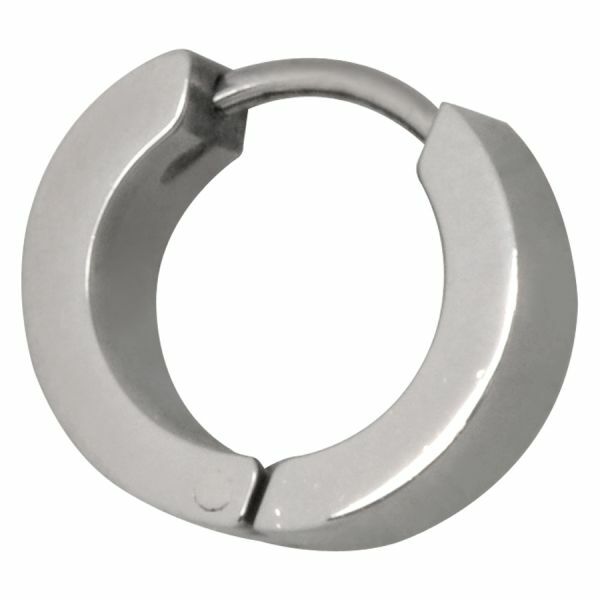 The pin of the hoops is 1.0 mm thick and the hoops have a height of 52 mm and a width of 20 mm.